Republic is the central work of the Western world's most famous philosopher. Essentially an inquiry into morality, Republic also contains crucial arguments and insights into many other areas of philosophy. 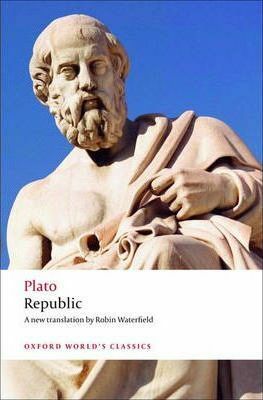 It is also a literary masterpiece: the philosophy is presented for the most part for the ordinary reader, who is carried along by the wit and intensity of the dialogue and by Plato's unforgettable images of the human condition. This new, lucid translation by Robin Waterfield is complemented by full explanatory notes and an up-to-date critical introduction. Robin Waterfield is a distinguished translator and author. Previously a consultant editor for Collins-Harvill, his translations of Plato include Philebus (1982), Theatetus (1987), Early Socratic Dialogues (1987), and Symposium (WC, Jan, 1994).